Chinese herbs have served as the foundation for “Traditional Chinese Medicine”, for over 5,000 years. The fundamental idea of living in harmony with nature and the environment forms the basis for the use of Chinese herbs as well as the traditional Chinese approach to health. Knowledge of the healing power of Chinese herbs and herbal remedies has been passed down from generation to generation, and today represents one of China’s greatest gifts to mankind. The isolation of China throughout history plays a role in the general lack of understanding about Chinese herbs by other world civilizations. However, since the opening of China in 1972, knowledge of the ancient healing powers of Chinese herbs has been gradually spreading to western countries. Chinese herbs are now experiencing a rapid increase in usage and popularity. Health-conscious consumers are concerned about the concentration of synthetic chemicals in western diets, medicines, and the general environment. Chinese herbs are being welcomed by progressive western consumers who are seeking natural, healthy and balanced alternative remedies. Traditional Chinese Medicine is very different from the western scientific approach we are accustomed to. Chinese medical experts promote a healthful balance of yin and yang – two forces present in all of nature. When yin or yang forces or qi/energy levels are off-balance in the body and spirit, health problems arise. Chinese herbs and herbal remedies are used to help realign an individual’s yin or yang balance in order to improve overall well-being. Chinese herbal formulas include hundreds of popular organic ingredients that work in harmony to produce the desired effects in a person’s body. These ingredients are primarily of plant origin, and may include roots, bark, seeds, flowers and leaves. Each organic ingredient typically has unique characteristics (i.e. yin/yang balancing, qi/energy boosting, etc.) that are reinforced and harmonized in comprehensive ancient Chinese herbal formulas that have been passed down through the years. 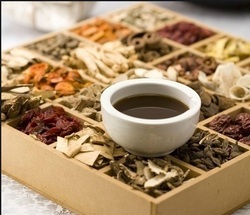 For each formula sold at Chinese Herbs Direct, we provide a brief description of the formula itself and its typical actions, as well as a listing of the formula’s herbal ingredients and their unique characteristics. If you’d like to understand more about a particular Chinese herb, websites such as the Chinese Herbs Dictionary and the Chinese Medicine Sampler may be useful resources. The study of Chinese herbs centers on the proposition that many organic substances have curative powers. Indeed, this is a fundamental tenet of not just Chinese medicine, but Western medicine as well. 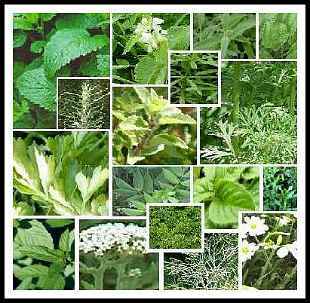 Popular Western remedies ranging from common aspirin to modern chemotherapy treatments have their roots in organic substances. Western medicine is finally beginning to acknowledge its debt to Chinese herbal medicine, noting that the effectiveness of many modern pharmaceuticals was originally demonstrated in Chinese herbal practice centuries ago. Nonetheless, Chinese herbs should be viewed only as a supplement to western medicine, and not as a replacement. Chinese medicine emphasizes harmony and duality, and this is well-represented by the increasing cooperation between practitioners of Traditional Chinese Medicine and their counterparts in the western medical establishment.